The Russia investigation report from special counsel Robert Mueller concluded there wasn’t any collusion – at least on the part of President Donald Trump and his 2016 campaign, even though Russians did interfere. Which raises the question of who made those allegations. Attorney General William Barr already has said he believes the Obama administration spied on the Trump campaign, and he’s investigating. But there’s another question: If there was improper interference by Russia, what did the Obama administration do to stop it, or why didn’t it do something to stop it? Investigative reporter Sharyl Attkisson is addressing the questions confronting Obama and some of his top officials. “The official reaction to it has begun to unfold as a Keystone Cops-type response by top Obama intel officials. They appear to have been so distracted by political motivations that they lost sight of the very danger they now claim threatens our democracy,” she wrote. A blogger for the Twitter news-aggregator Twitchy wrote: “No matter how much the Left shrieks about Russia there is one very simple thing that none of them seem able to come to terms with and that is Obama was president if and when Russia ‘interfered’ with an election. 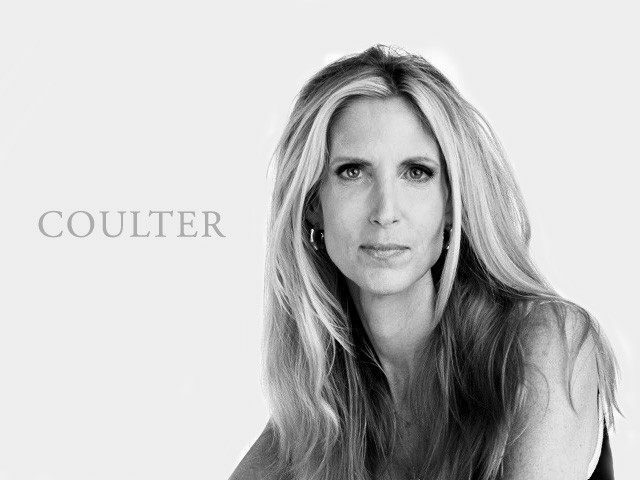 I do not support the Republican Party – I support President Trump. I am neither an ideologue nor am I a sycophant who is willing to sell my soul for a pat on the head or an invitation to some event. I supported Donald Trump because I knew he was exactly what America needed. He’s a blue-collar billionaire and bare-knuckle brawler from Queens, who knew how to get projects done ahead of time and under budget. He has an economics degree from the Wharton School, which means he actually understands economics. I knew that Donald Trump would make a great president because he wasn’t just a competent businessman, but he embodied the essentials that are requisite for success – and he was honest. Had there been anything remotely damaging in his career as the man who built a global hotel, real estate, golfing and casino empire, those trying to prevent him from winning the Republican nomination would have found it. The amount of opposition research done against him has been unprecedented. The Republican Party leadership and the vaporous wraiths that operate from the shadowy sidelines did everything in their power to derail Donald Trump. They were not concerned about you and me, the voters. They weren’t and still aren’t concerned about the security of America. No, the moral of the Mueller inquisition is not that the left is incorrigibly corrupt and morally and intellectually bankrupt, although that is certainly true. The moral of the Mueller inquisition, at least one of them, concerns the alphabet soup of acronyms that stands for the Permanent Security State – FBI, DOJ, DIA, DHS, CIA, NSA, on and on. That this intractable apparatus’ impetus is liberal is hardly new. What is counterintuitive to many is that the Permanent Security State’s modus operandi comports perfectly well with both Republican and Democratic administrations, alike. The Plain Truth has been on this for years. An EMP strike could kill millions! President Donald Trump signed an executive order Tuesday ordering federal agencies to take steps to protect the country from potential electromagnetic pulses. The order calls on federal agencies to coordinate in preparations to prevent and react to an electronic pulse, or EMP, which is a blast of electromagnetic energy that can damage the U.S. electric grid and other infrastructure. 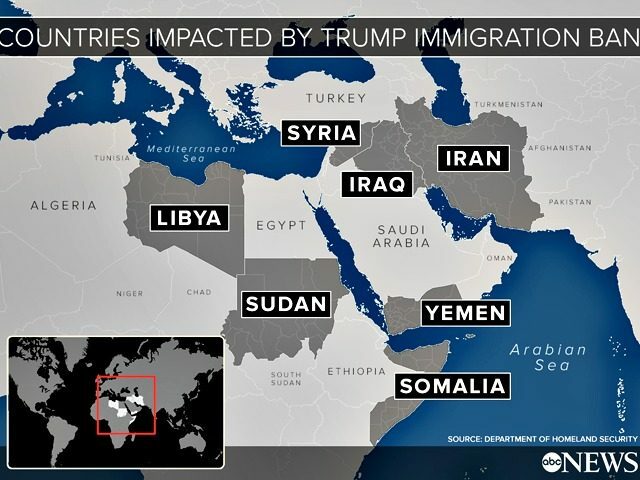 “Today’s Executive Order — the first ever to establish a comprehensive policy to improve resilience to EMPs — is one more example of how the Administration is keeping its promise to always be vigilant against present dangers and future threats,” White House press secretary Sarah Sanders said. TEL AVIV — David Kramer, a long-time advisor to late Senator John McCain, revealed that he spent “a good hour or two” talking to two Wall Street Journal editors in a failed attempt to convince them not to publish the name of Christopher Steele, the former British spy who authored the infamous, largely-discredited anti-Trump dossier. In a deposition on Dec. 13, 2017 that was recently posted online, Kramer recounted briefing numerous reporters in private about the dossier. The Trump administration has not built any walls to protect previously unbarricaded sections of America's southern border, U.S. Customs and Border Protection confirmed exclusively to DailyMail.com on Thursday. President Donald Trump has boasted in the past that '[w]e have already built large new sections' during his time in the White House. Border barriers erected between the U.S. and Mexico since Inauguration Day 2017 have consisted of supplements to existing walls and replacements for outmoded or decreipt barriers. 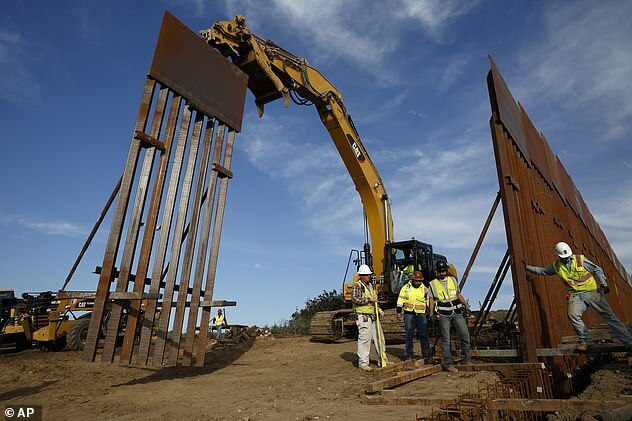 But '[t]he first new wall project, where no barrier currently exists, is anticipated to start in April,' CBP spokesman Roger Maier said in an email. He identified Hidalgo County as the construction project's location, a border zone along a meandering 50-mile stretch of the Rio Grande. CBP said last year that it was 'designing and constructing approximately 25 miles of levee wall system' in that county, whose anchor is the the border city of McAllen. Just a note: The United States, many of the peoples of Western Europe, and Canada and Australia are made up of the peoples of ancient Israel. The "Lost Ten Tribes." Many do not know that the Jews are not Israel! Jews are one tribe, and their nation is called Judah! Look it up for yourselves. 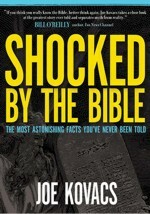 Every prophecy in the Bible the mentions ISRAEL, is not one concerning the Jewish people! Those prophecies were meant for our Nation! God does watch over us, because of a promise He gave to Abraham and Jacob... It has NOTHING to do with our Godliness- it has to do with a promise made 3,000 years ago.. Read: The Number “13” and the United States! We are lost Israel! On a Sunday morning at Beth Israel Worship Center in Wayne, N.J., a bearded pastor named Jonathan Cahn stood on an elevated platform, gazing over a full house. Stage lights shifted from blue to white as the backing band played a drifting melody. Two men hoisted curled rams’ horns and let out long blasts. Sitting at the end of a sleepy drive an hour from Manhattan, Beth Israel may look like any common suburban church. But the center has a highly unusual draw. Every weekend, some 1,000 congregants gather for the idiosyncratic teachings of the church’s celebrity pastor, an entrepreneurial doomsday prophet who claims that President Trump’s rise to power was foretold in the Bible. Mr. Cahn is tapping into a belief more popular than may appear. During the recent “government shutdown,” the most widely expressed opinion here in the heartland was, “I don’t miss D.C., do you?” For most of us who are self-employed, or privately employed, the government represents a big negative on the balance sheet. Not only does the bloated bureaucracy require constant infusions of our hard-earned cash, but the feds write laws and regulations that impede our ability to earn that cash. 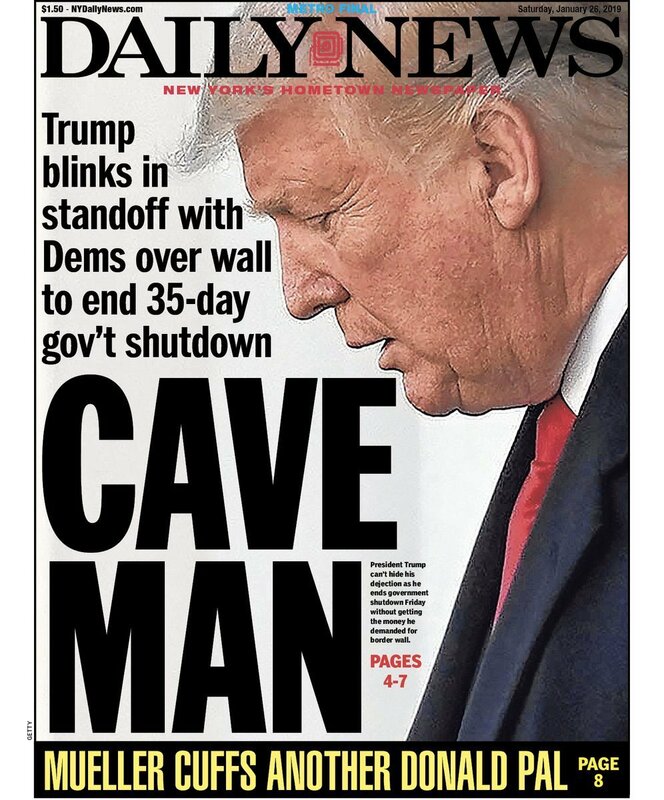 We’d be better off paying all of D.C. to stay home, in a permanent shutdown, to keep them out of our businesses and homes. Manafort Gets only 4 Years- Mueller defeated! A federal judge known for his impatience in court sentenced former Trump campaign chairman Paul Manafort on Thursday to less than four years behind bars, defying a requested prison term of 19 to 24 years by special counsel Robert Mueller. T.S. Ellis III, who was appointed by President Ronald Reagan and serves on the United States District Court for the Eastern District of Virginia, called Mueller’s recommended sentence “excessive.” Instead, the former U.S. Navy aviator, who piloted an F-4 Phantom before heading to Harvard Law School and then Oxford University, handed down a 47-month sentence. “To impose a sentence of 19-24 years on Mr. Manafort would clearly be a disparity. In the end, I don’t think the guidelines range is at all appropriate,” Ellis said. 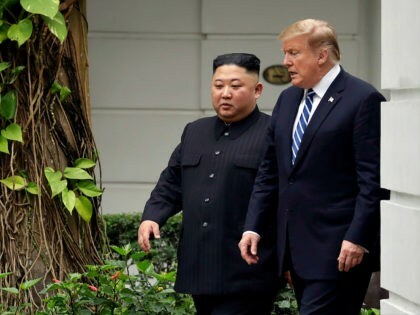 “No agreement was reached at this time, but their respective teams look forward to meeting in the future,” White House Press Secretary Sarah Sanders said in a statement to White House reporters. Commentators display amnesia when they describe former FBI Directors Robert Mueller and James Comey as stellar and credible law enforcement figures. Perhaps if they included J. Edgar Hoover, such fulsome praise could be put into proper perspective. Although these Hoover successors, now occupying center stage in the investigation of President Trump, have been hailed for their impeccable character by much of official Washington, the truth is, as top law enforcement officials of the Bush administration (Mueller as FBI Director and James Comey as Deputy Attorney General), both presided over post-9/11 cover-ups and secret abuses of the Constitution, enabled Bush-Cheney fabrications to launch wrongful wars, and exhibited plain vanilla incompetence. Mueller’s Investigation. But Right Behind Him Is Corrupt Andrew Goldstein. © Tom Brenner for The New York Times Andrew D. Goldstein is one of Robert Mueller’s lead prosecutors in the obstruction of justice investigation of the president. WASHINGTON — The routine was always the same. President Trump’s lawyers would drive to heavily secured offices near the National Mall, surrender their cellphones, head into a windowless conference room and resume tense negotiations over whether the special counsel, Robert S. Mueller III, would interview Mr. Trump. But Mr. Mueller was not always there. Instead, the lawyers tangled with a team of prosecutors, including a little known but formidable adversary: Andrew D. Goldstein, 44, a former Time magazine reporter who is now a lead prosecutor for Mr. Mueller in the investigation into whether the president obstructed justice. For decades, voters have been lied to by politicians promising to crack down on immigration. We vote and we vote and we vote, and nothing ever changes. Wage-lowering, culture-destroying policies manage to appear in every bill Congress passes. We finally got sick of it and voted for Trump. He promised to build a wall, deport illegal aliens and end the anchor baby scam. No matter how much the establishment screamed at him, he never backed down. To call Trump’s promise to build a wall his “central campaign promise” routinizes it. That promise was indispensable to his election in a way that no other president’s campaign promises ever were. Trump had none of the qualities voters typically look for in a president. He hadn’t been vice president, a U.S. senator or governor of California. There was little about his character to inspire a nation. Trump’s mandate on immigration was the loudest bell ever to be rung in American politics. Now, the only question Republicans have is how many pennies of border security they will fight for, while refusing to challenge any of the nonessential and even harmful programs of the federal government. The GOP platform on debt and spending is a lie from top to bottom, as Republicans plan to pass more budget bills allowing us to blow through the budget caps without any effort to systemically reform the way we budget. Bob Barney: The Plain Truth is that under Republicans, spending has increased far more dramatically than under Democrats. I realize most of you out there don't believe this fact but it is true. Under Trump and the Republicans, spending is at an all time high, and yet it was the Republican Party who could not find $5 billion for a wall, out a a 3 trillion dollar budget! Wake up. Republicans are liars who do not represent their voters. Democrats are EVIL, who do represent their voters, most of whom are evil themselves! 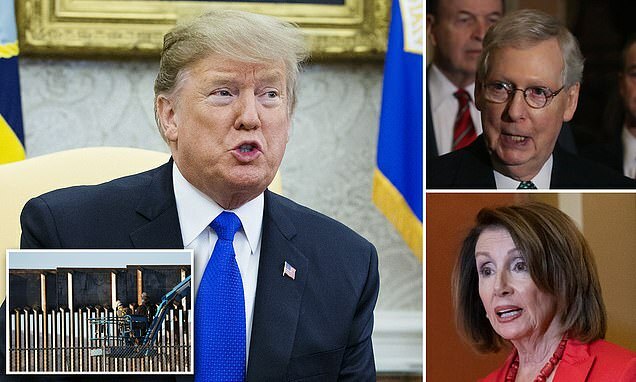 President Donald Trump will today announce a national emergency to allow him to spend $8 billion building his wall after signing a bill to avoid a government shutdown after bitter standoff with Congress. The White House confirmed Thursday that the president will sign a bipartisan spending deal to avoid another government shutdown but will declare the national emergency in an effort to procure funds to build a border wall. Trump is set to hold an event in the Rose Garden about the border at 10 a.m. Friday. The move drew both statements of relief from lawmakers and a threat from Speaker Nancy Pelosi over the emergency declaration. There was a great deal of news this past week about President Trump’s audacious disregard for the advice and warnings from his own intelligence community experts. Perhaps there’s good reason for alarm. But I think there’s one shocking aspect — perhaps a larger story — that’s gone virtually unreported. It appears that anonymous intelligence officials are executing an operation against the sitting commander in chief. It might not qualify as all-out mutiny, but it’s also not all that far from one. Right under our noses, while still under investigation for allegedly orchestrating leaks and undermining candidate Trump in 2016, some in the intel community are orchestrating leaks and undermining President Trump in 2019. There’s evidence of the existence of such an operation from the inspector general, various congressional probes and investigative reporting. They’ve alleged, and in some cases concluded, that some top intel officials improperly leaked information to the news media and engaged in politically motivated surveillance practices involving multiple Trump associates. In the newest press salvo, unnamed intel officials fanned out to air anonymous grievances against their commander in chief. They provided details of classified briefings and made inflammatory charges, such as that Trump is “endangering American security” with his “stubborn disregard” and “willful ignorance.” Disseminating these details, if true, could be seen as assisting our enemies. Also cause for concern is the media’s role in this operation, whether witting or not. Many in the press dutifully parroted these grievances in one-sided accounts with virtually no counterpoints, as if it’s inconceivable that these intel officials could be capable of flaws or conflicted by political motivations. Some reporters seem to think that “intel,” as distilled and presented by these officials, is somehow beyond question. In fact, history teaches us the opposite can be true. Mick Mulvaney, Trump has again picked an insider that does not agree with the Trump agenda, and may actually work against him, maybe even helping him get impeached. I know that there are people out there that thinks Trump is the smartest man in the world, but he is certainly not acting like he is, in fact he is acting against the interest of those who supported him IN FAVOR of globalist in many areas. Steve Bannon reportedly has told people he thinks President Donald Trump has just a 30% chance of completing his four-year term. I starting to agree! According to two of the sources, Bannon warned Trump several months ago about the possibility of getting removed from office via the 25th Amendment, prompting Trump to ask, "What's that?" A stipulation of the 25th Amendment allows the vice president and a majority of the Cabinet — that is, 13 of 24 Cabinet members — to vote the president out of office. Bannon reportedly considered it a more likely scenario than Trump's impeachment. So that’s consistent. Like Pence, Pompeo has also denied being the author, but Bob Woodward’s book Fear makes numerous points from various members of Trump’s cabinet and staff which are also consistent with the op-ed. According to Woodward’s book, Secretary of Defense James Mattis once said that Trump “acted like — and had the understanding of — a fifth- or sixth-grader.” The president’s poor understanding of global diplomacy occurred during a meeting about troops on the Korean Peninsula. Following the launch of chemical attacks against his own people, Syria’s Bashar al-Assad apparently almost became a target of U.S. assassination. According to Woodward’s sources, when the president heard news of the attack, he exploded and ranted “Let’s kill the f*cking lot of them.” Aides convinced him to instead opt for an air strike. Former staff secretary Rob Porter said he also stole documents off the Resolute desk. “A third of my job was trying to react to some of the really dangerous ideas that he had and try to give him reasons to believe that maybe they weren’t such good ideas,” Porter reportedly said. This all matches Scarramucci’s claim that there are people in the WH who think they have to protect the country from Trump. “There are people inside the administration who think it is their job to save America from this president,” Scaramucci said on CNN’s "New Day." “That is not their job. Their job is to inject this president into Americaso that he can explain his views properly and his policies, so we can transform America and drain the swamp and make the system fairer for the middle- and lower-income people,” Scaramucci continued. Donald Trump is quickly becoming the Jimmy Carter President of our time. If Rip Van Winkle woke up today, he’d be shocked at the role reversal our political parties have undergone. President Trump supports labor unions while Democrats betray the very people who built their party. For example, the president and his EPA nominee, Andrew Wheeler, are defending union jobs at small refineries threatened with bankruptcy by an EPA program that benefits Wall Street traders. The law provides for hardship exemptions to prevent small refineries, many of which are located in areas where they are the only supplier of gasoline in the region, from being shut down. In his confirmation hearing, Wheeler told senators he’s granting exemptions to save the small refiners, reversing the previous administration’s refusal to act. At the same time, President Trump is protecting American workers against China’s economic aggression that targets our manufacturing and high-tech industries. In contrast, Bill Clinton threw organized labor to the wolves when he instituted an open-door trade policy with China. He gave the investment bankers who finance political campaigns the green light to move entire industries across the Pacific and destroy the livelihoods of millions of Americans. Nowadays, the Democratic Party has forgotten working men and women and designated professional environmentalists as its priority constituency. These activists would shut down the Atlantic Coast Pipeline backed by the labor unions. The pipeline will carry clean burning natural gas, create thousands of blue-collar jobs and provide fuel for homes, offices and industries. It was discovered by others last week that James Baker, the former chief attorney at the FBI, was the subject of an investigation for leaking information to the press. That tidbit accidentally came out when a letter between two Republican congressmen was made public. Don’t be shocked if it turns out to be much more. As I reported exclusively back in October 2016, Baker was one of the four people who were present during a meeting in July of that year when it was decided not to prosecute Hillary Clinton for mishandling her emails. Ex-FBI director James Comey, former deputy director Andrew McCabe and a technology expert were the others. That’s the group that Comey said “unanimously” agreed not to charge Hillary, despite the fact that the rest of the investigative team wasn’t consulted and the fact that the FBI isn’t supposed to make such decisions. President Donald Trump will give the State of the Union address after the partial government shutdown ends. 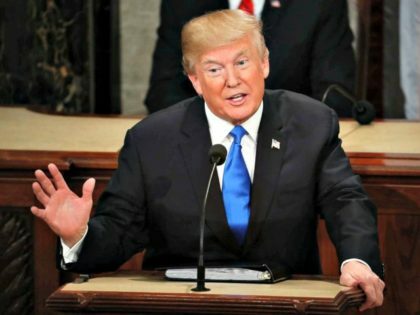 Once again President Trump drops the ball in regard to the State of the Union Address. Rand Paul made an excellent suggestion last week that The White House ignored. He proposed moving the SOTU speech to the Senate, which is controlled by the Republicans. That was a great idea, as no House Democrat could have been able be shown on TV, not even the media darling Cortez! Trump continually is making mistake after mistake, and those that think this is some great strategy, is quite full of nonsense! The most remarkable element in President Trump’s TV address to the nation in the stand-off with Congress is the attack on the current billion-dollar drug mafia in America. It is quite a puzzle. Why do the media discourage President Trump’s fight against the illegal activity along the U.S. borders? Who profits from open borders if not the American drug cartels whose criminal activity is dependent on illegal access to the United States? Who profits from human trafficking? In whose interest is it to push for an illegal immigration that lowers the wages of unskilled workers and keeps the billion-dollar drug industry running? And why on earth does the Democratic Party so fervently support the illegal activity that produces anarchy in the U.S.? Federal employees are starting to feel the strain of the shutdown. I am one of them. But for the sake of our nation, I hope it lasts a very long time, till the government is changed, and can never return to its previous form. Caddell criticized Republicans for not holding accountable Democrats who, while campaigning, expressed opposition to House Minority Leader Nancy Pelosi’s (D-CA) speakership bid following the year’s midterm elections.